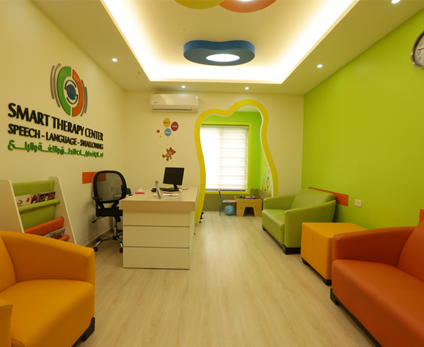 Our speech and language therapists are specialized in the assessment, diagnosis and treatment of communication and swallowing disorders of adults and children..
Our therapists work to maximize function, independence and quality of life by providing programs of care, advice and education. Our therapists work one-on-one with both children and adults and with their careers and families as needed providing individualized treatments based on the most recent research in the field of speech pathology. 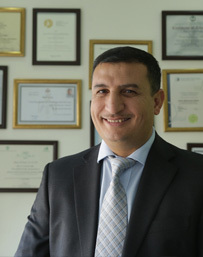 Amin Aldset received his Master degree in Speech Language Pathology at the University of Toronto. Amin a Speech-Language Pathologist specialized in providing family centered early intervention services to infants, toddlers, and preschoolers with speech, language, and feeding concerns and he worked collaboratively with children and their families, educators, and other team members using a family centered approach. Certified member of the American Speech-Language-Hearing Association (ASHA). Noor received her Master degree in Speech Language Pathology at the University of Jordan. Noor has experience working with children with a variety of communication impairments. She provided individual and group sessions for children aged between 1 to 12 years with Hearing impairment, language impairment, Autism, ADHD, stuttering and children with other Syndromes that affect speech and language. Rand received her Bachelor degree in Speech Language Pathology at the University of Jordan. Rand has experience working with children with a variety of communication impairments. She provided individual and group sessions for children aged between 1 to 12 years with Hearing impairment, language impairment, Autism, ADHD, stuttering and children with other Syndromes that affect speech and language.